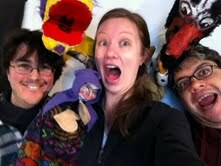 Along with fellow puppeteers Mike Cuccaro and Flora Shepherd, I have begun developing a new Pittsburgh Puppet Festival. Puppet Happening is the name. We aim to establish a city-wide presence and to produce events throughout the year. With an intense amount of start-up activity, I have had little time for blogging. Our promotional activities begin tomorrow night (March 4th, 2011) at the Unblurred first Friday gallery crawl in the Garfield neighborhood of Pittsburgh. 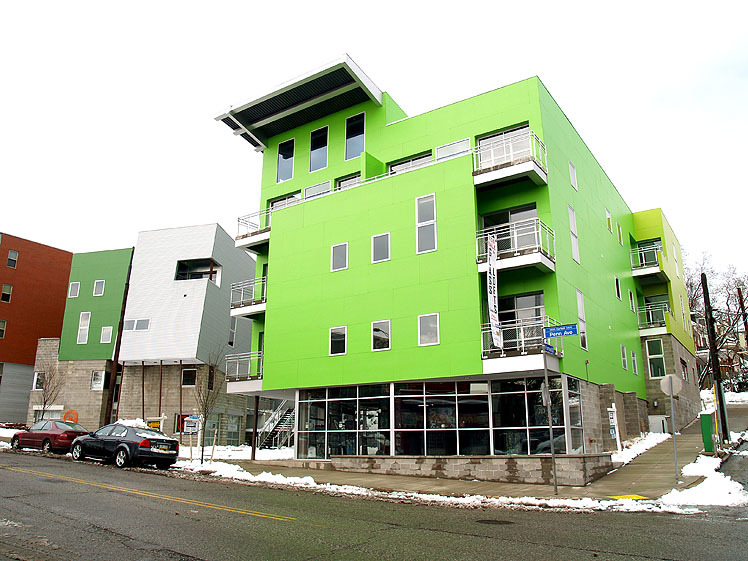 We are occupying a studio at the Glass Lofts through March 19th and will have an open house at the Unblurred, followed by cabaret shows on March 17th and 19th. Check out our new web page for details. Our temporary home at the Glass Lofts, Pittsburgh.